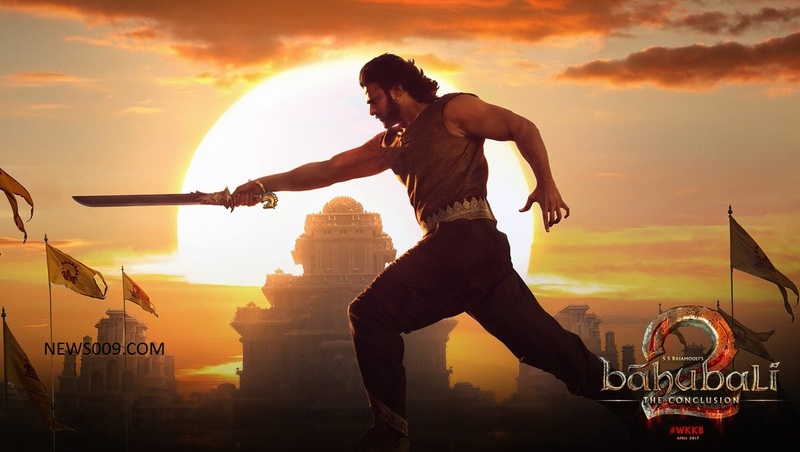 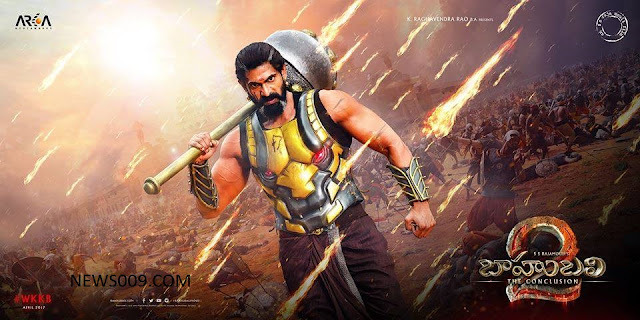 Movie bahubali is one movie in 2015 which gave India's technicalities in international level movie making. 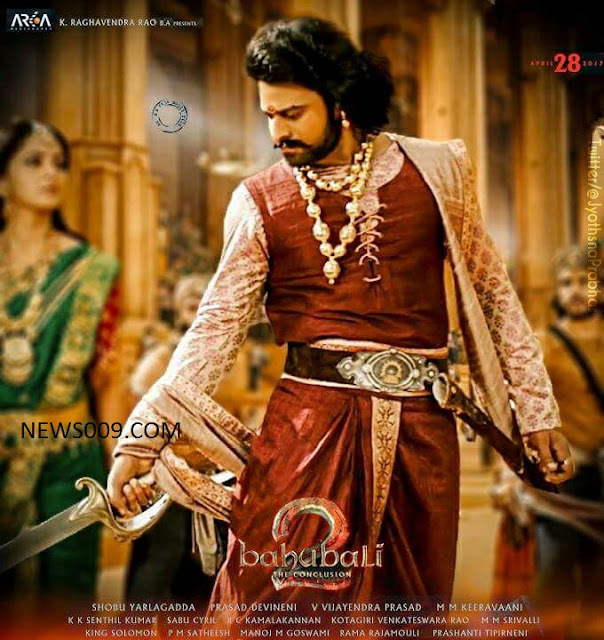 Movie got unbelievable applause from world audience and taking collections to 500+ crores gross and 300+ crores share. 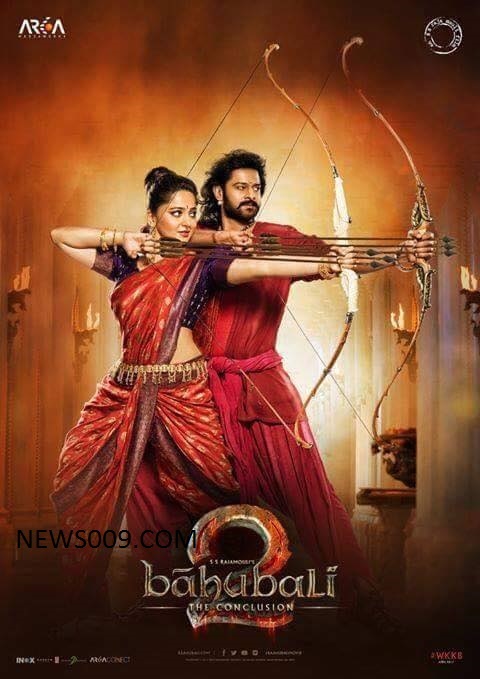 Now all are waiting for 28th April release date to know the question from 2015, why katappa killed bahubali. 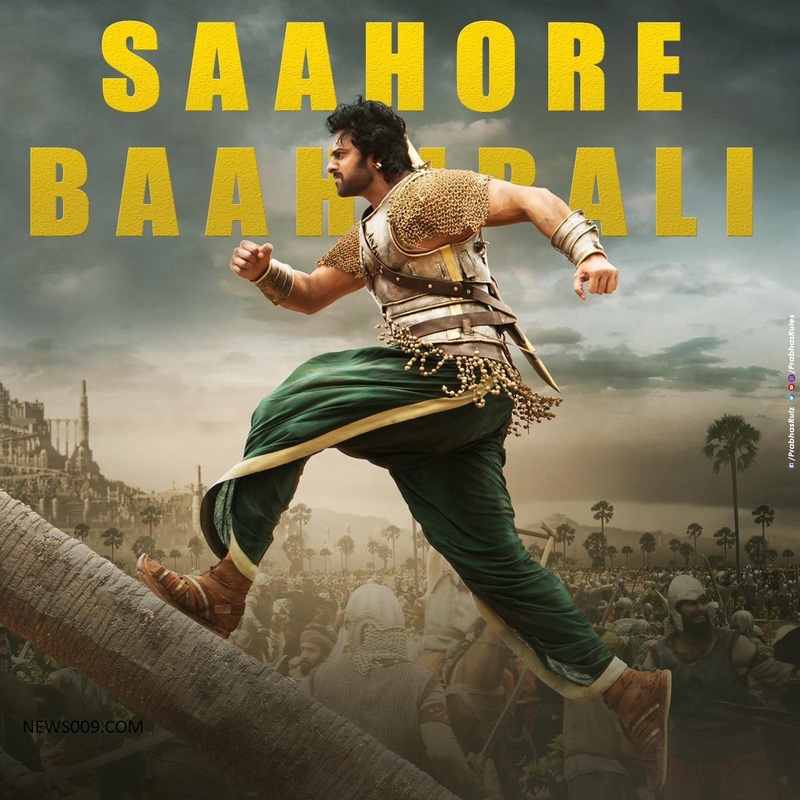 Movie even before 1 week, From today evening it is trending in top 1 position at twitter. Bahubali 2 is releasing in 6500+ theaters worldwide even in USA with record 500+ theaters in telugu, tamil and hindi languages. 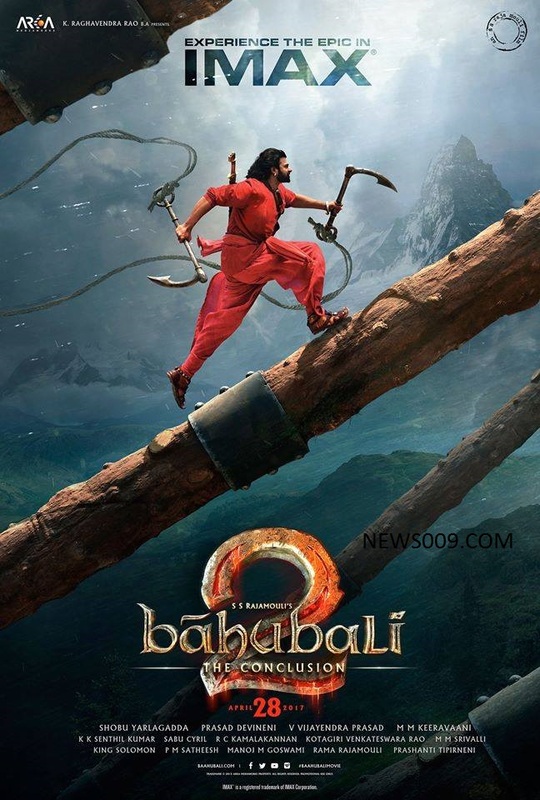 It is also releasing in IMAX format in USA and other countries, Where it is first of India to release in IMAX. 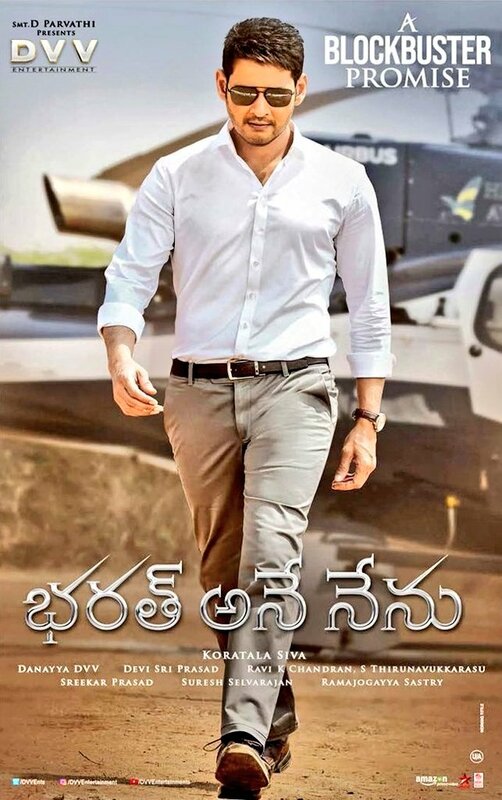 News009 is predicting that movie may easily collect 1000+ crores gross worldwide and easily on 1st day it will collect 100+ crores share worldwide. 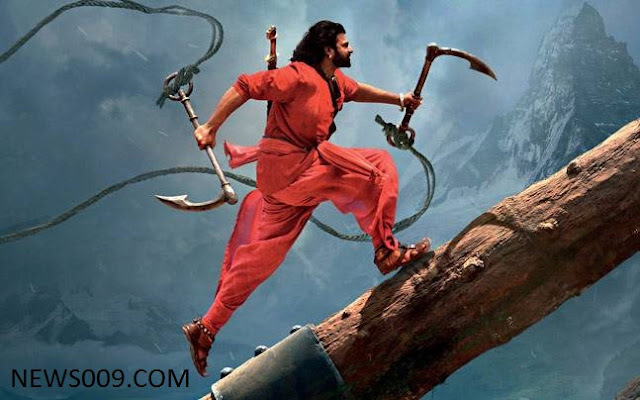 Censor completed with U/A and censor review is that movie will be mind blowing with high visual effects and emotion, Which amaze with good action in 2nd half compared to 1st.